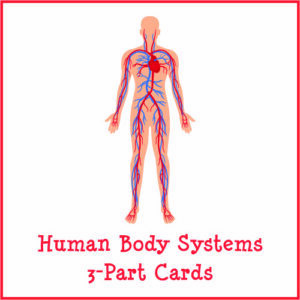 As part of my efforts to educate my children and others about their magnificent bodies, I have developed a set of Human Body Systems 3-Part Cards. These Montessori-style nomenclature cards can be used to help children learn to identify the main systems in the human body that do important work to keep everything running smoothly. Note: You’ll find more resources for learning about the human body on my Human Body Unit Study page. For each system there is a picture and label card, a picture-only card, and a label-only card. 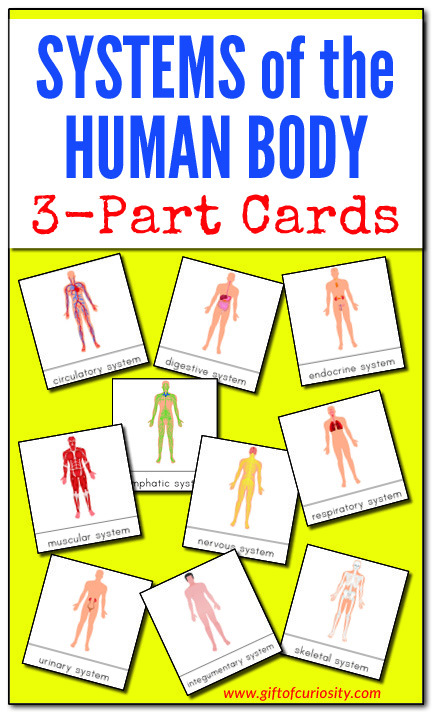 I recommend pairing these cards with the Anatomy Models Bundle from Learning Resources. This will allow children to get more in-depth knowledge of their bodies in a hands-on manner. Want a copy of my Internal Organs of the Human Body 3-Part Cards? 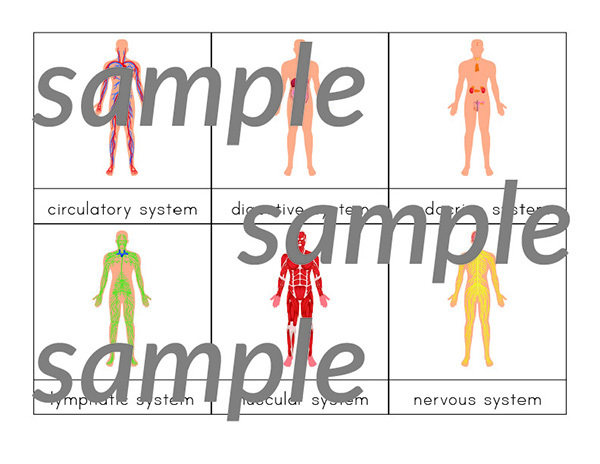 Or get it as part of the Human Body Printables Bundle. You’ll find more resources for learning about the human body on my Human Body Pinterest board. Follow Katie @ Gift of Curiosity’s board Unit Ideas: Human Body on Pinterest.